ASU MainStage’s latest production “The America Play” is an indulging and moving exploration of how previous generations, and what they dedicated their lives to, can directly affect those who come after. The concept of time is a fascinating one, especially in the context of families and ancestors. When one thinks about it, the notion that previous generations affect who we are and who we will become is both complex and intriguing. This play explores these concepts only two hours to perform to the audience. Directed by Nia Witherspoon, “The America Play” is a story of a father and son’s connection told over the course of two distinct halves. The first half follows the story of “The Foundling Father” (played by theater senior Christian Aytch), an African-American man who uses his uncanny resemblance to Abraham Lincoln to challenge how far people will push themselves in good taste. The Foundling Father tells the story of how he decided to embrace his resemblance to Lincoln and use it to charge spectators a penny for the opportunity to assassinate the man themselves. Although the play’s first hour is at times confusing, seeing as how there are three actors all playing the same character (one of whom is an actual person, the others are reflections of his consciousness), it manages to serve as an incredibly powerful commentary on how human beings sensationalize death. It also challenges spectators to consider the stakes in not just witnessing, but spectating the death of black citizens. The play’s second half follows Brazil (theater senior Brickel Green), the Foundling Father's son, and his quest to find his father’s remains. Having left when he was just 5 years old, Brazil feels the need to find anything that will connect him to his father. Taking cues and mirroring elements from the show’s first half, the concluding segment in the play turns out to be one of the best and most powerful moments of the entire performance. Although not an easy subject matter to tackle, Witherspoon does a great job of allowing her actors to showcase their wide range of talents. Whereas Aytch is predominantly the star of the show’s first half, he takes a backseat in the second and allows Green to shine. Green, who perfectly served as one of the two echoes of the Foundling Father previously, perfectly captures Brazil’s childlike enthusiasm and relentlessness to find a relic that will connect his father’s past to his own future. One of the play’s most impressive aspects is how well scenic designer Jennica Dombrowski utilizes the play’s performance space so spectacularly. Since it is performed in a room in the Nelson Fine Arts Center, the show could have been faced with the daunting task of being performed in a smaller, more intimate venue. However, this tiny space benefits the play perfectly and makes the show’s first half an incredibly personal experience. Audience members walk into the theater to find three actors, all barefoot and dressed identically in black frock coats, top hats and khaki pants. The actors are spread throughout the theater, one of whom is in the middle of the crowd. Immediately, it is clear that the show is going to be a unique experience. As more and more spectators enter the Foundling Father’s venue and take their turns gunning down Lincoln, the show may begin to feel even more intimate as footage of audience reactions to the scene that unfolded before them are shown on a minimalistic screen that makes the footage look as if it were part of an old film reel. The show’s first half builds the story, and the second half brings everything together. Hearing Brazil’s dedication to finding his father’s remains is absolutely moving and an interaction between the young man, his mother, and his father’s spirit is one of the best moments of the entire performance. Witherspoon also uses several musical performances to explore the connection between generations, seeing Brazil and his mother sing songs that have seemingly been passed down to them by their ancestors during their search for the father. One excellent moment in particular is when they perform a toe-tapping hymn while they give the Foundling Father a proper burial. A profound and complex exploration of race and the connection between past and present, “The America Play” is a heavy, moving and incredibly well done piece of work. The show runs again next weekend from Feb. 26 to 28 with performances at 7:30 p.m. each night. For ticket information, visit https://filmdancetheatre.asu.edu/events/the-america-play. 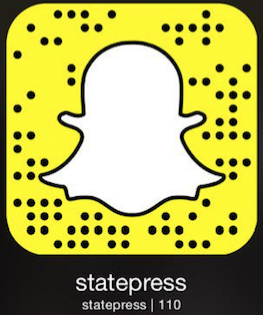 Reach the reporter at seweinst@asu.edu or follow @S_Weinstein95 on Twitter.